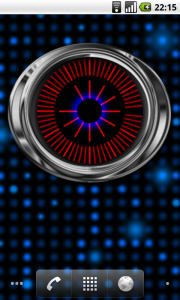 WITNESS Analog Clock Widget for the Google Android Phone is an analog clock widget that opens on your desk clock. 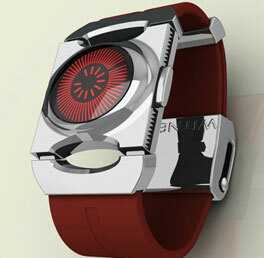 The Witness Watch by Hay HEUN has been totally inspired by the human eye. The two bright red LED rings that you see are replicates of the pupil and the iris. They move in synchronized motions to depict the time.